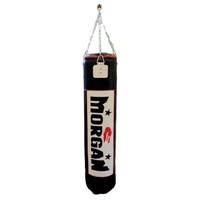 The Morgan 5ft Platinum punch bag is a high quality commercially designed punch bag, made for high volume usage. Measuring 150cm in height and 35cm in width and weighing approx. 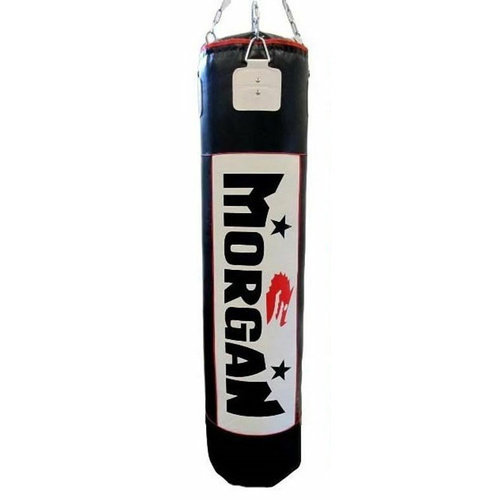 50kg, this punch bag is great for all types of cardio and boxing training when punching and kicking are going to be done. Made from 1000D ripstop vinyl with 4 reinforced 8mm steel triangle rings, provides the bag non-sag finishing towards the top. 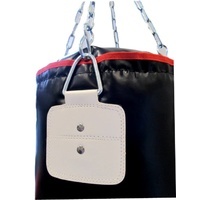 With additional rivets inserted through the leather patches, provides the punching bag with the additional re-enforcement that a commercial grade bag is expected to have. 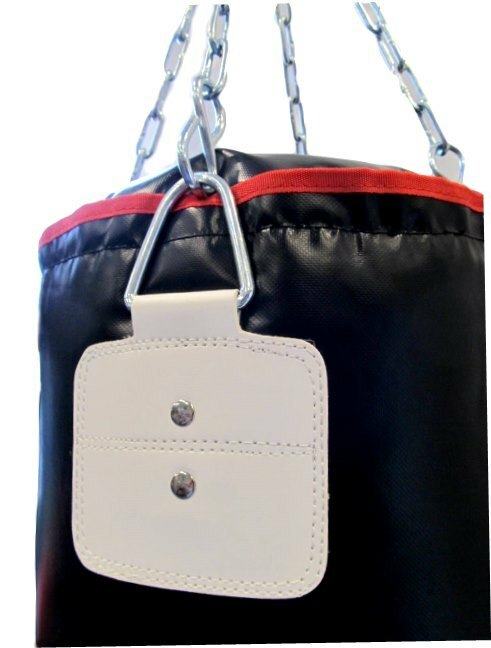 Using a stabilising strap at the bottom of the bag, to minimise the punch bag swinging, makes this a highly recommend punch bag for commercial use. 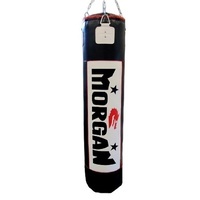 Filled with a premium blend of Australian made fleece and cotton, provides a dense and safe striking target.